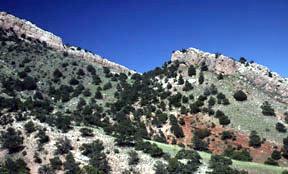 The University of Georgia Department of Geology will hold its Geology Field School for its 24th year in Cañon City, Colorado. Our Field School is the capstone experience of our undergraduate program in geology and includes the field application of our core geology courses. 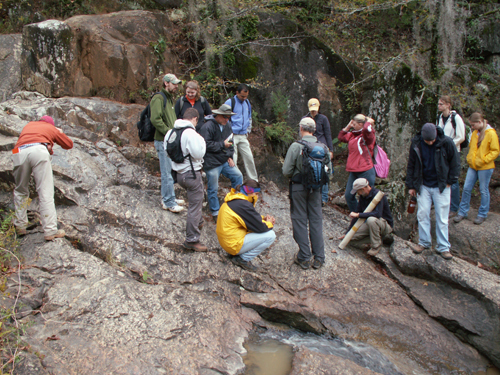 The Geology Field School is run jointly with the University of South Carolina whereby both schools contribute students and faculty. This arrangement allows us to increase the diversity of our faculty’s expertise as well as to keep costs reasonable. The field course is taught by three to four Geology faculty and one to two teaching assistants. Typical enrollment is 12-20 students, which provides for an excellent student-to-teacher ratio. While in Cañon City, Colorado, we stay at The Abbey School and each student has their own room. Breakfast and dinner are served at the Abbey School. Students pack their own bag lunch for the field.